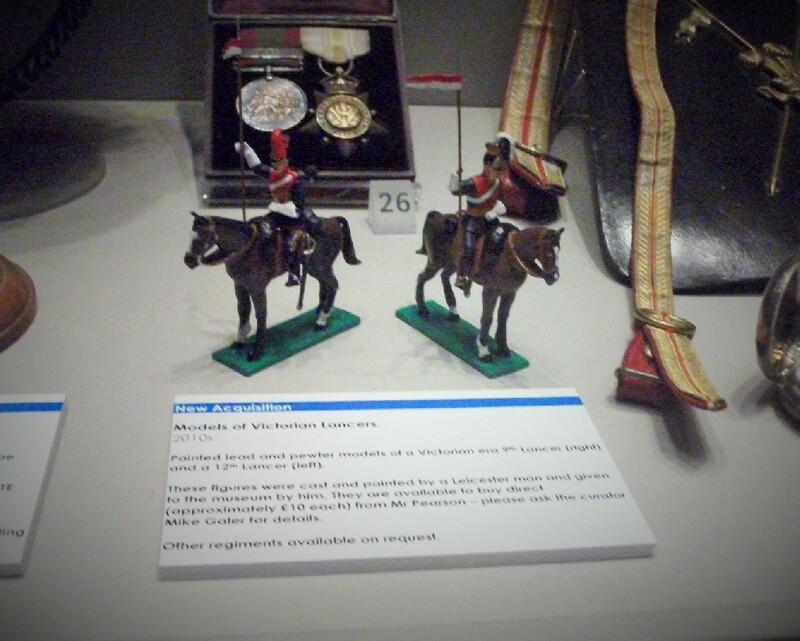 The latest of Suburban Militarism’s military museum day trips was to the 9th/12th Royal Lancers museum in Derby. 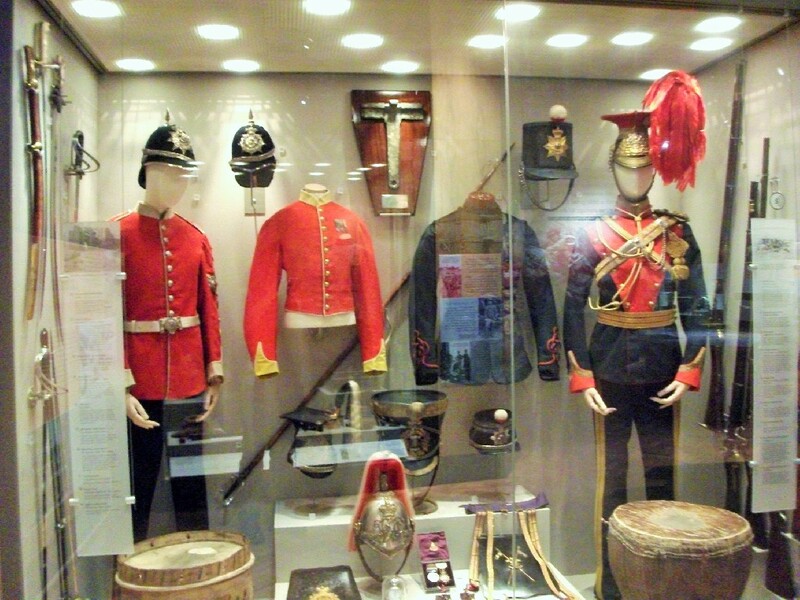 I should mention that this is also a museum dedicated to the Sherwood Foresters and the Derbyshire Yeomanry also. The collection was a modest one, nothing quite on the scale of the huge Green Jackets museum in Winchester but still impressive nonetheless. There was a fine example of a uniform of the local Derbyshire Yeomanry from the 1820s: large wide Bell Shako, large feather plume, knee-length breeches and lots of intricate braiding on the dark blue jacket. 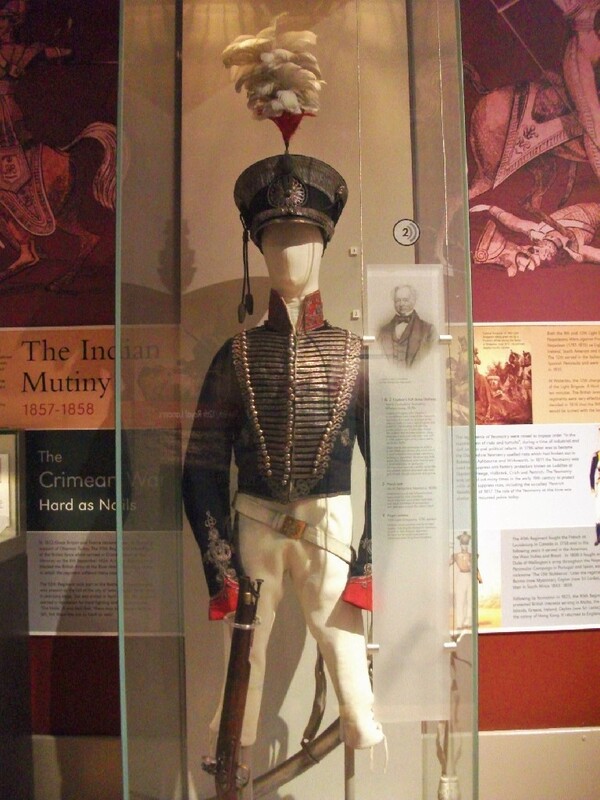 Derbyshire Yeomanry uniform, c1820s. Glorious! Side view of the Derbyshire Yeomanry helmet. Also on display was a Tarleton helmet, a style worn by light dragoons in the period 1789 – 1812. It was named after Lieutenant-Colonel Sir Banastre Tarleton, leader of the controversial ‘Tarleton’s Legion’ during the American War of Independence. 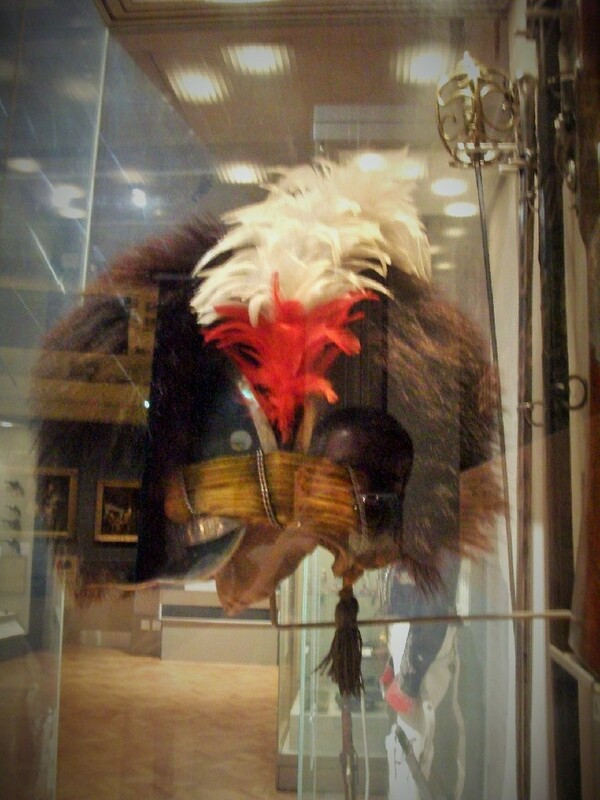 Made of leather with bearskin fur and lacquered feathers, it remained the headgear of british yeomanry for some time after the regular army had abandoned it in favour of a shako. Strelets are currently the only 1/72 scale plastic figure manufacturer to produce a set featuring this headgear that I know of – “British Light Dragoons in Egypt”. The sculpting is an acquired taste but perhaps I’ll attempt them at some point in the future. The 12th Light Dragoons performed excellently at the battle of Waterloo but in the process received a severe mauling at the hands of French Lancers of the line. The encounter led to the regiment itself being converted into a lancer regiment, adopting the czapka style helmet worn by Napoleon’s Lancers of the Guard (both Polish and Dutch – you know, those ones I’m currently painting…). 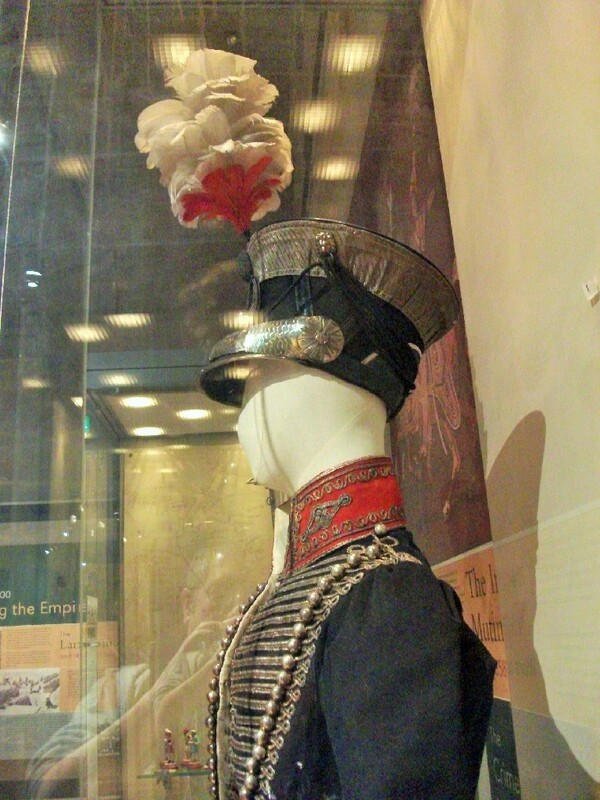 These czapkas were on display alongside Albert and Bell Shakos, and a fine example of the Derbyshire Yeomanry’s dragoon-style headgear from the Victorian era. Lovely headgear! From top left; Lancers Cszapka, Bell Shako and Albert Shako. 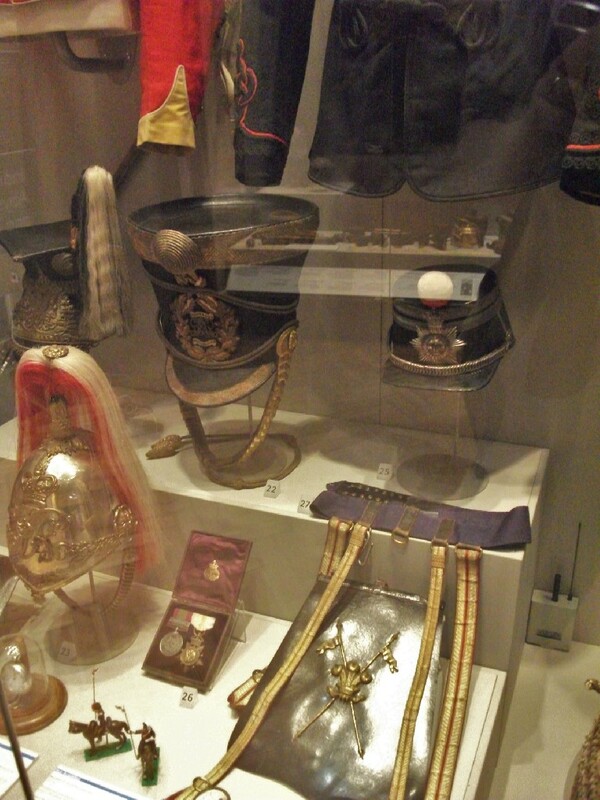 Bottom left; Yeomanry helmet and a nice example of a sabretache. Aside from uniforms, I’m always interested in seeing any unusual and exotic items on display. A porthole from the wreck of the HMS Birkenhead was one from this category. The Wreck of the Birkenhead has been a tale that has captured my imagination for some years now. The incident gave rise to Kipling’s phrase “The Birkenhead Drill” and thereafter set the famous maxim for all ship sinkings; ‘women and children first’. It seems that many regiments were represented on the Birkenhead; this museum already being the third museum that I’ve visited with a display about it! 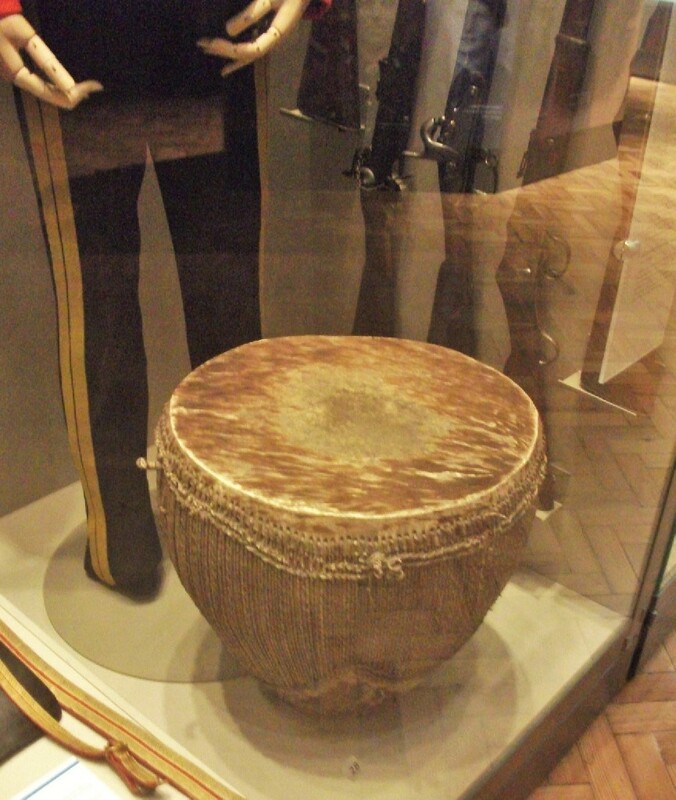 Afghan Drum from the 2nd Anglo-Afghan War, 1878-1880. Locally made metal model soldiers!